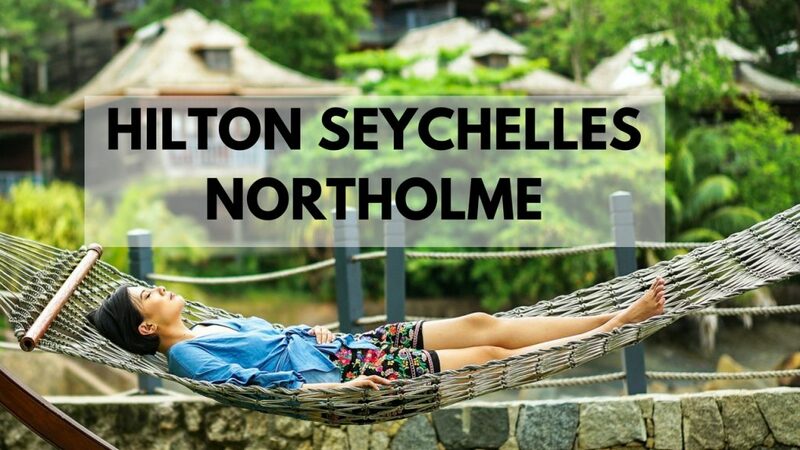 The World's Smallest Hilton Hotel: Hilton Seychelles Northolme Resort & Spa - Holy Smithereens! 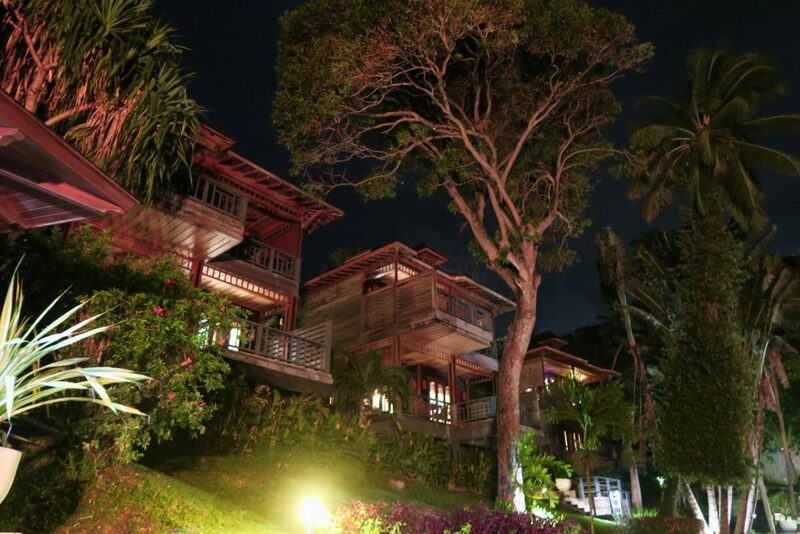 With just 56 villas, Hilton Seychelles Northolme may be the smallest Hilton property in the world. However, I’m pretty sure that it is also the most picturesque. Located in Mahe’s Beau Vallon Bay, Hilton Seychelles Northolme is also popularly known as the place that served as inspiration to James Bond creator Ian Fleming. This place was Mr. Fleming’s favourite haunt as he sought inspiration for the popular 007 series. 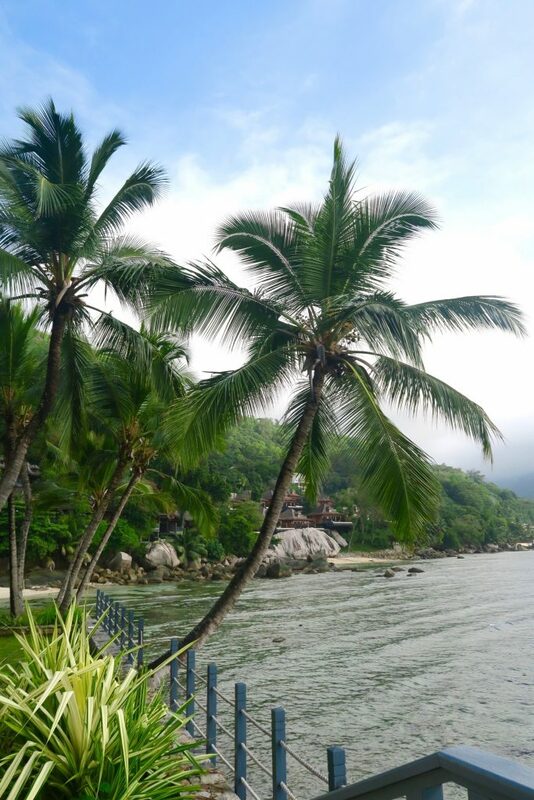 When entering the Hilton Seychelles Northolme, you will be greeted with lush foliage on a hilly landscape. All 40 villas are perched on a hill facing the Indian Ocean. Our room was a King Hillside Villa. 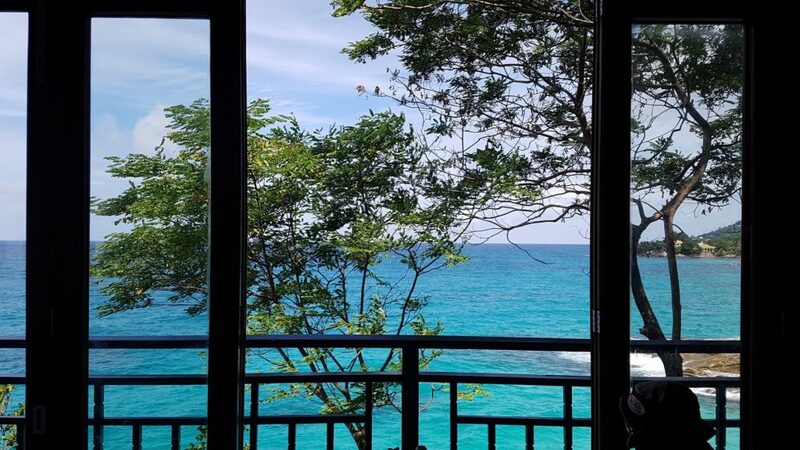 From the spacious balcony, you can still see the Indian Ocean, even though the room category wasn’t technically ocean front. 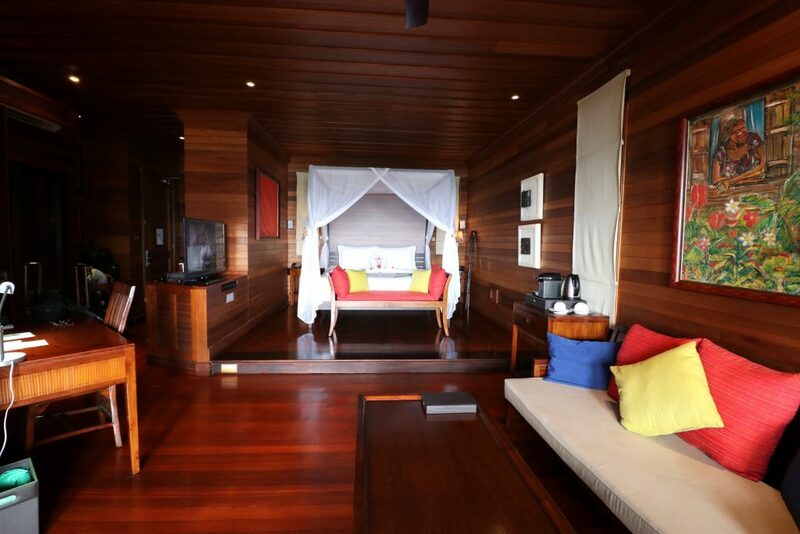 The King Hillside Villa measures 90 square metres (969 square feet) with a spacious balcony overlooking the ocean. It almost has a luxe treehouse feel with the floors, walls and ceiling made of dark natural wood. The balcony is generously sized and spans the entire length of the room. Big enough for two sunloungers, a breakfast table, and a huge deck chair that fits two. There’s a DVD player, espresso machine, coffee and tea making facilities, work desk and complimentary WIFI. 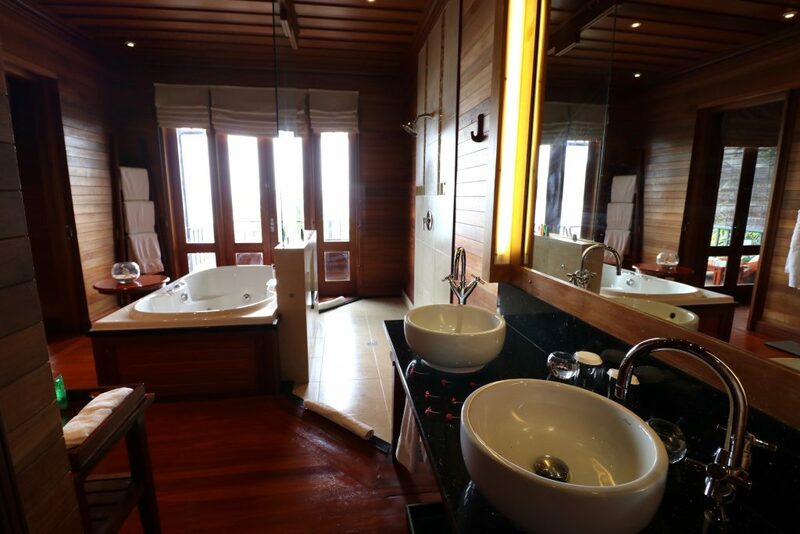 As with most hotel and resort rooms, my favourite part is the bathroom. Just like the room, the bathroom’s floor, walls and ceiling is also made of dark wood. But it still feels spacious because of the natural light coming in from the balcony doors, and the light accents from the jacuzzi tub, shower area, and double sink. 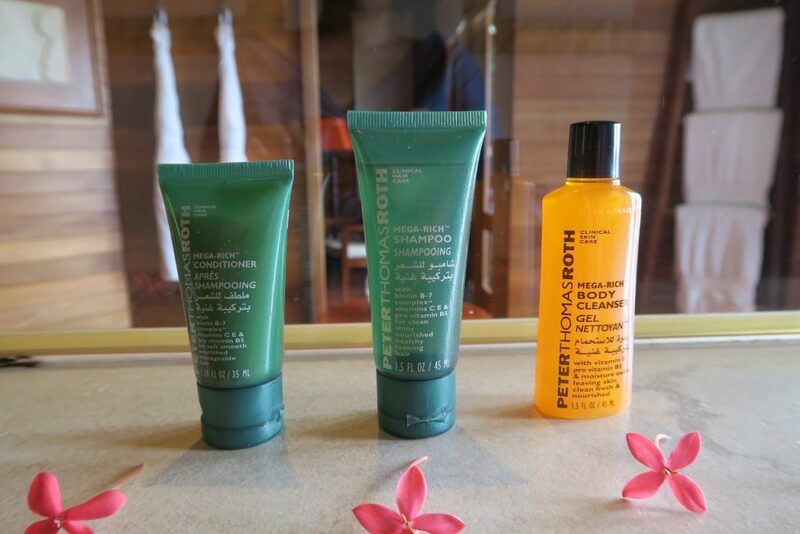 Toiletries are from Peter Thomas Roth Clinical Skin/ Hair Care. This is a brand that has established itself in acne prevention and anti-aging but their toiletry line is not bad as well. No overpowering scents, and their shampoo isn’t drying at all (which seems to be the case with most resort/hotel shampoo brands). Their body wash and lotion worked well together with a moisturising formula and a gender neutral scent that is quite gentle. 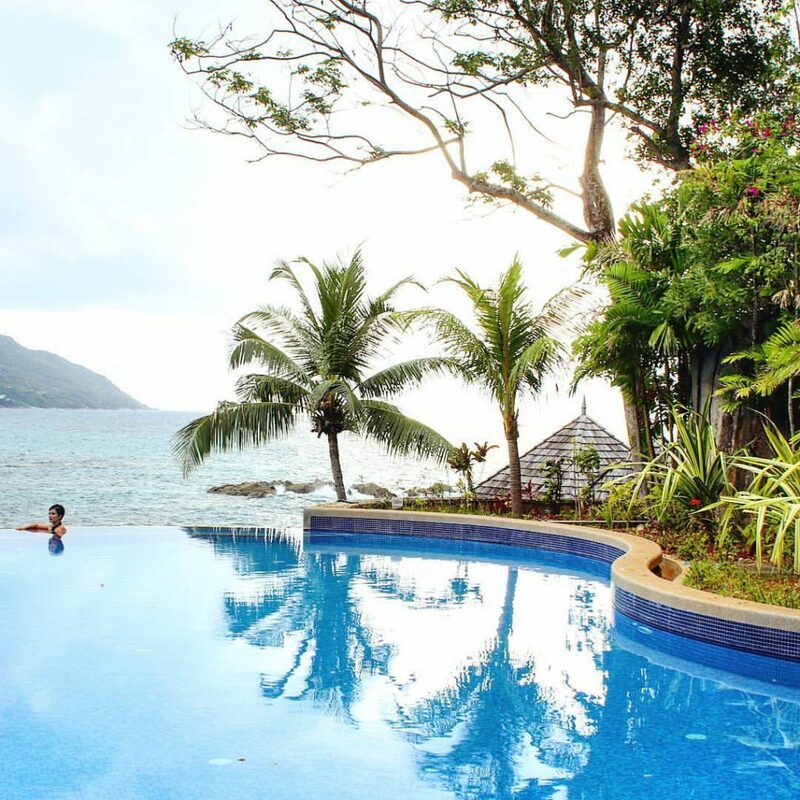 The Hilton Seychelles Northolme’s pool is located in a very tranquil spot overlooking the Indian Ocean. Even though the resort was quite close to full occupancy when I was there, I never found the pool to be crowded. 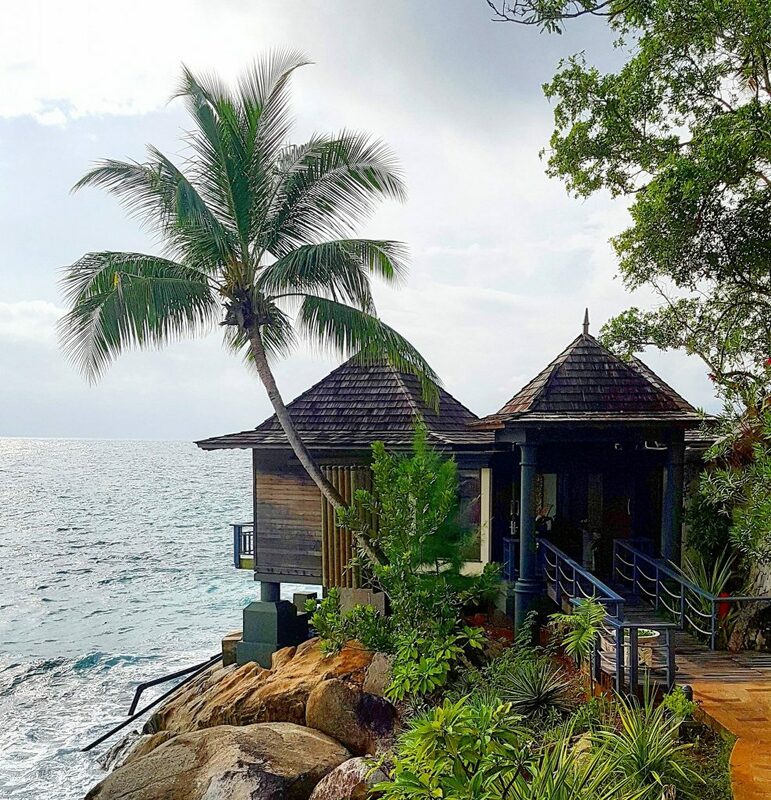 Just like the resort itself, Eforea Spa is extremely personal – there are only 3 treatment rooms, and each of these rooms face the ocean. 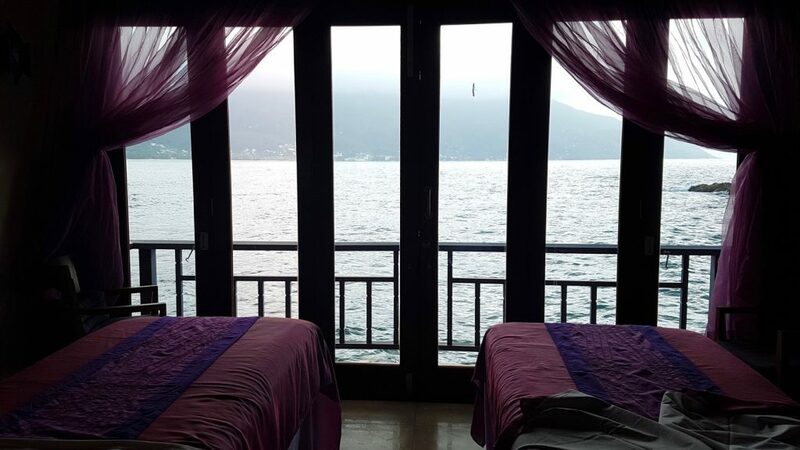 I had the 60-minute Seychellois Massage , a bespoke massage tailored by the therapist to suit your preferred concentration (head back and shoulders for me please). My therapist had the lightest touch and with the sound of waves crashing just outside, I fell asleep in no time. 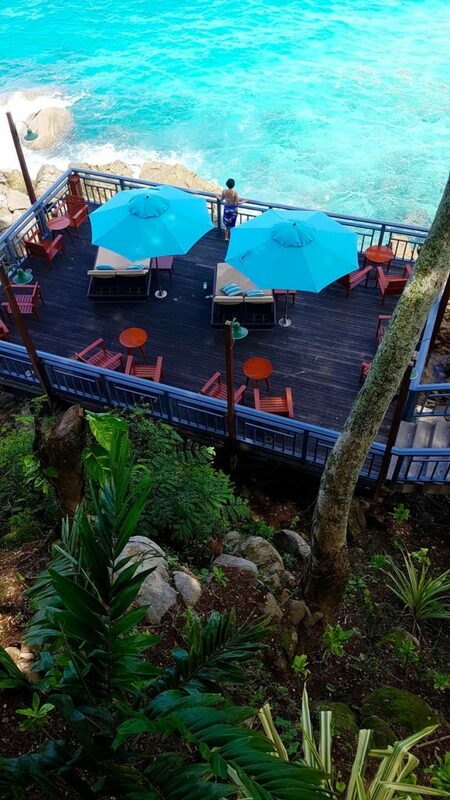 There are three main restaurants at the Hilton Seychelles Northolme. This restaurant is a popular place for lunch. 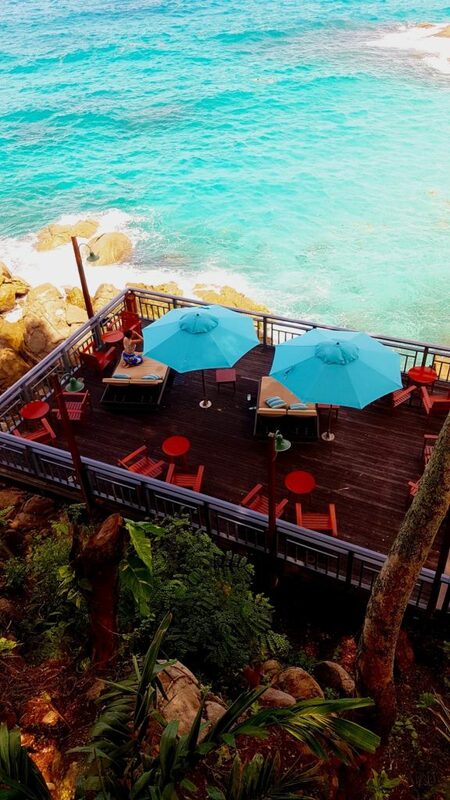 You can dine al fresco with stunning views of the ocean (hence the name). Meals consist of tapas, salads, pizzas, a wide array of appetisers and snacks. Hilltop Restaurant has a wide selection of buffet for dinner and breakfast. For dinner, there’s a cooking station where you can choose your seafood , sauce, toppings, and how you want the meal cooked. 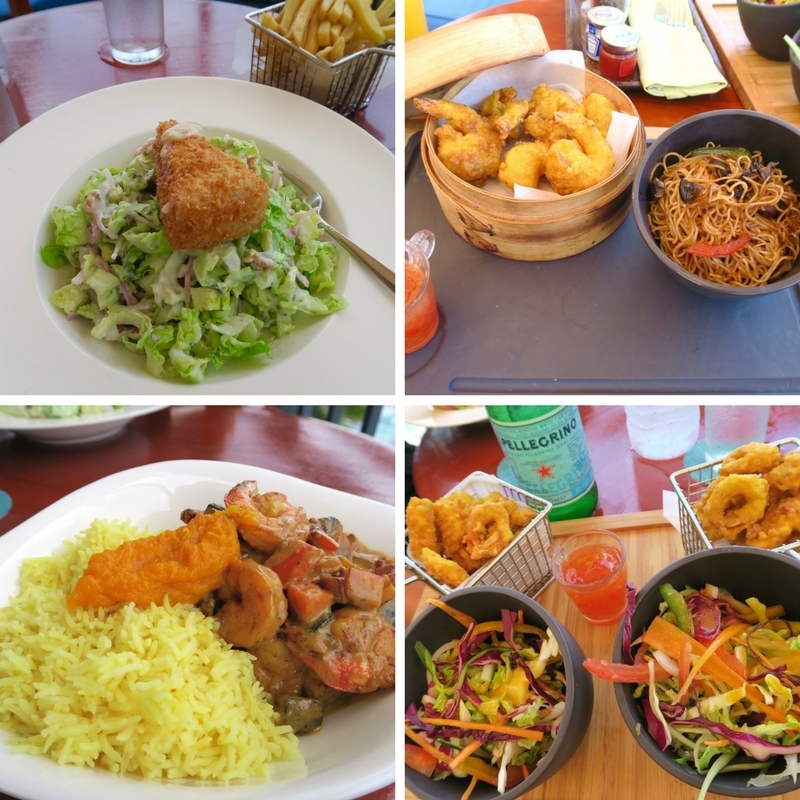 Seafood is so fresh in the Seychelles and this is a must try. 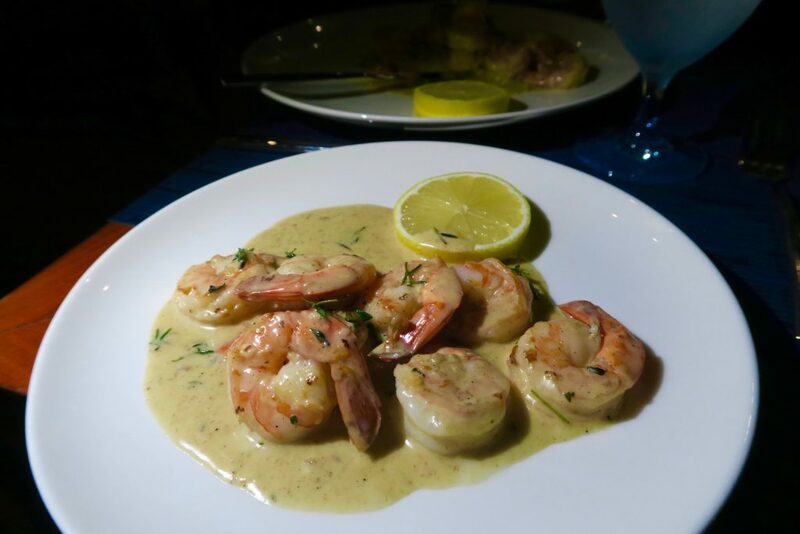 Whenever there’s seafood offered – especially one that’s going to be freshly cooked, go for it! Breakfasts were a very pleasant affair that I looked forward to every morning. They have a great selection of pastries, savoury breakfasts, and also an omelette station. You will see more of their breakfasts on the video. 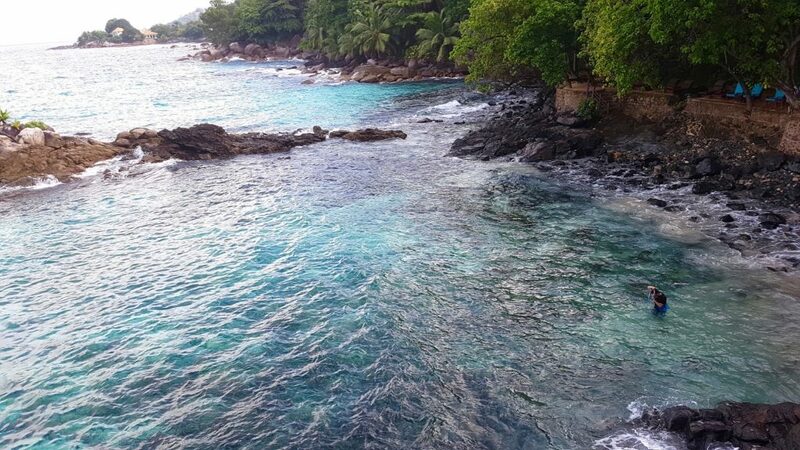 The waters surrounding Hilton Seychelles Northolme are stunning in every angle. If you would like to go snorkelling, time it when the waves and currents are not too strong. I would advise getting reef shoes if you want to go swimming or snorkelling. Snorkel equipment (mask & fins) are available to rent free of charge. You can see snippets of snorkelling clips in the video. 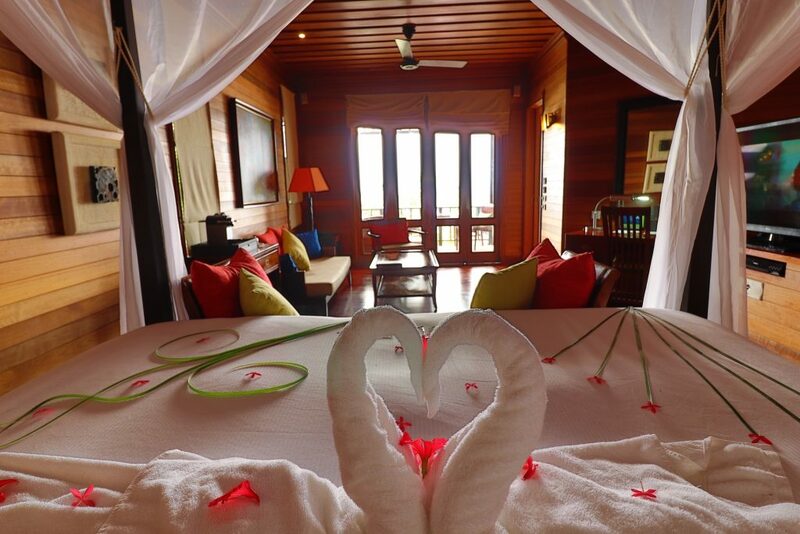 This resort is perfect for couples seeking a tranquil getaway. Be it your honeymoon, anniversary or a ‘just because’ trip – this is an ideal getaway that’s not your typical beach resort destination. Families with older children (13 and above) will also enjoy their time at the resort. There’s also a free shuttle that takes guests to Beau Vallon beach, where local restaurants and shops are. The Hilton Seychelles Northolme may be the smallest Hilton just in terms of the number of rooms / villas, but it certainly didn’t feel small. There was always something to do and discover everyday. Hilton Seychelles Northolme Resort & Spa prices for 2017 start from 380 Euros per night for a Hillside Ocean View Villa, with Breakfast. 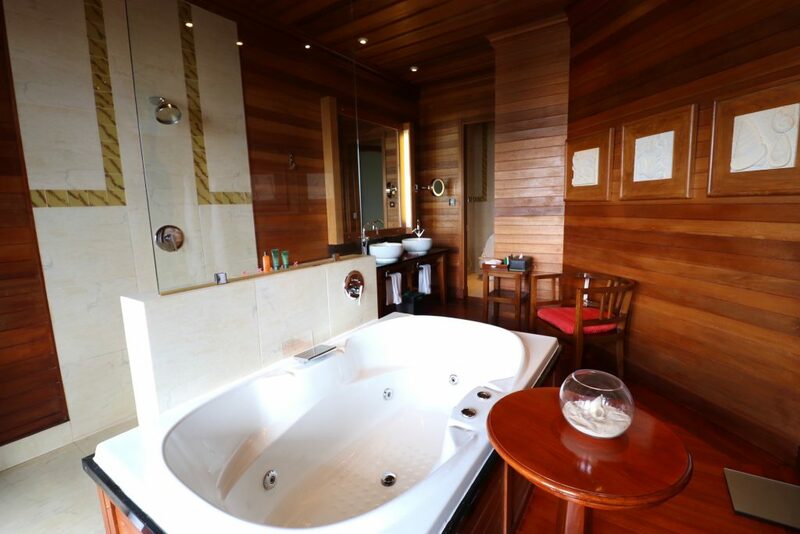 To book visit www.seychelles.hilton.com, call +248 429 90 00, or email reservations.seychelles@hilton.com. We were guests of Hilton Seychelles Northolme Resort & Spa but all thoughts and opinions are mine. I am dreaming of a tranquil getaway! Actually just reading this and seeing your beaut photos makes me feel relaxed. I shall revisit as winter comes to Australia. 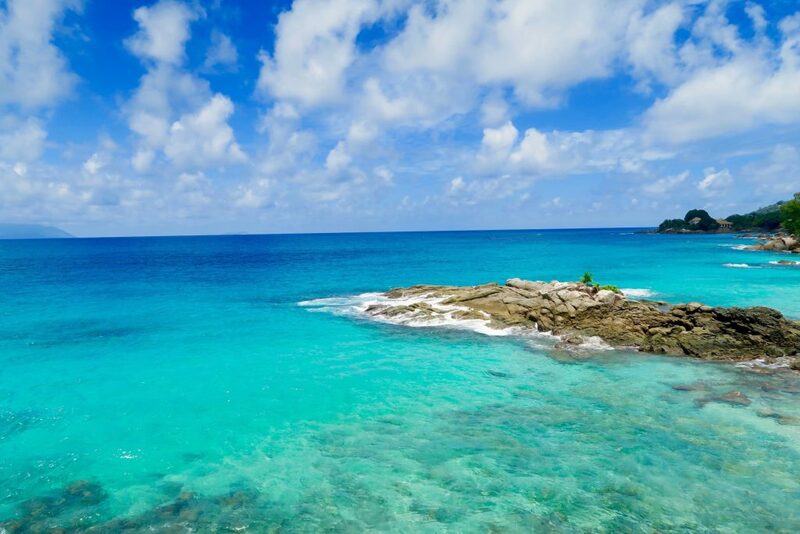 The Seychelles is on the travel/swimming list for sure. Now these photographs are making me jealous of you. I hope you had a great time to this place. I am also planning to visit here this weekend. This look amazing!! I haven’t made it out Seychelles yet, but would definitely be keen to stay here when I do. Oh wow it maybe small but those views are absolutely incredible! Great post! Small yet very amazing. This place is like a little paradise.